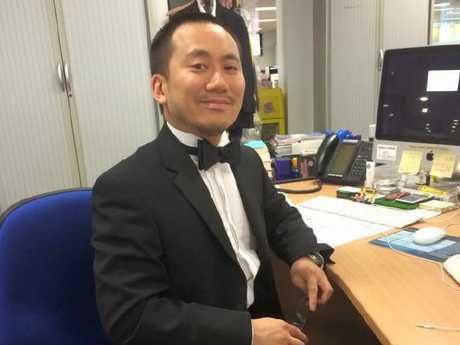 MARTIAL artist and journalist Geoff Ho is one of several Londoners being praised as heroes after fighting back against three knife-wielding terrorists. Ho, who is the business editor at the Sunday Express, was in intensive care after stepping in to break up what he thought was a fight, according to the Express. 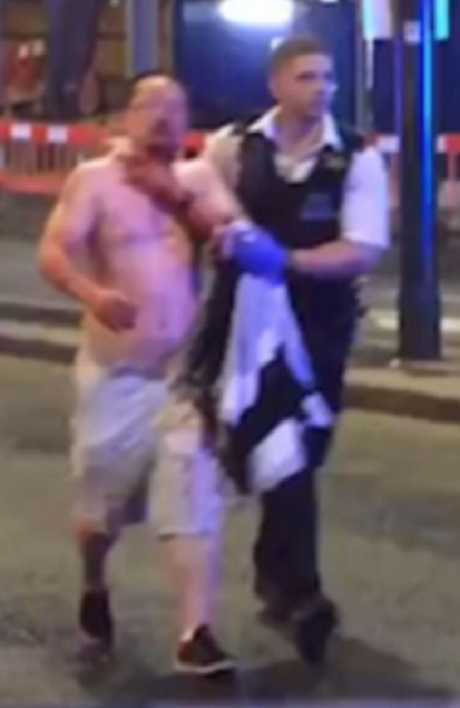 The expert in Kung Fu and kickboxing was stabbed in the throat after he tried to protect a bouncer on the door of the Southwark Tavern in what turned out to be a terrorist attack in Borough Market. Seven people died and dozens were injured in the attack, which started when three men in a white van rammed into pedestrians at London Bridge before going on a stabbing rampage in Borough Market. The three attackers were gunned down by police eight minutes later. In a Facebook post, Ho reportedly wrote: "Don't know whether it was stupid or noble to jump and break up the fight outside the Southwark Tavern, but two a*******s trying to do over the lone bouncer on the door isn't happening on my watch." He is now being hailed a hero for his actions, along with others who tried to stop the attack. One colleague said: "The bravery he showed in the heinous terror attack was astounding - but honestly, not at all surprisingly". A British Transport Police officer also tried to take on all three attackers armed only with a baton. British Transport Police Chief Constable Paul Crowther said the officer, who was stabbed in the face, head and a leg, was one of the first responders. He said the officer, who is in stable condition, confronted the attackers and "it became clear that he showed enormous courage in the face of danger". Constable Crowther added that "for an officer who only joined us less than two years ago, the bravery he showed was outstanding and makes me extremely proud". Others also took on the attackers with what they had on hand. Nearby, a Romanian chef Florin Morariu was at the Bread Ahead bakery where he works when he glanced out the window and saw people running. "They were fainting, falling and we went outside to see what was happening," he told AP. Then two people approached another person and "began to stick the knife in ... and then I froze and I didn't know what to do." So Mr Morariu did the only thing he could think of: he managed to get near one attacker and "hit him around the head" with a bread basket. "There was a car with a loudspeaker saying 'go, go' and they (police) threw a grenade. ... and then I ran," he said. Footage he posted to Facebook shows another man armed with a broom as they try to help an injured man get to safety. Diners at the El Pastor restaurant on Stoney Street also forced one attacker out by throwing chairs and bottles at him, after the man entered the venue and stabbed a woman in the chest. Giovanni Sagristani, 38, told the BBC once the attacker was outside staff lowered a security gate and locked people inside. A taxi driver is also being hailed as a hero after one woman said he saved her life. "I was using a cash point at London Bridge, when a taxi driver swerved towards me, and screamed at me to RUN," Rhiannon Owen recalled in a Facebook post. "I turned and saw a man 3 metres from me, with a twelve inch blade, running towards me. I sprinted for my life. "I saw a man get stabbed. Windows smashed, people screaming everywhere." Ms Owen said she ran to a nearby open-front pub called Applebee's and screamed at everyone to run upstairs. About 40 of them hid in the storage room upstairs. "Thank you to the taxi driver that screamed to run. I owe you my life," she said. "He is being reported as a hero in the news, please help me find him so I can thank him." It's not clear if it is the same driver, but one taxi driver named Chris told LBC he witnessed the attack and tried to ram the attacker. "I said to the guy in my cab I was going to try to hit him, I was going to ram him. I turned around and tried, but he sidestepped me," he said. Staff at another restaurant Arabica Bar and Kitchen were commended for their bravery in keeping the attackers out. Richard Angell, director of the think tank Progress, told The Independent that police ordered them to lock the door, causing chaos as about 30 diners tried to get to safety. "This remarkable young waiter, who probably wasn't being paid very much, positioned himself next to the door, put his foot behind it and wedged it closed. "Everybody else panicked. Me and a couple of friends tried to calm the storm. We were trying to work out what was happening, stop people injuring each other as they were clambering to get away from it all, turning over tables. "A member of staff locked the door. Despite the fact that their lives were at risk, the staff were concerned about our lives, which was a remarkable thing, and I will be going back not only to pay the bill, but also to double the tip." Mr Angell also described seeing a man who "turned out to be this hero" outside throwing chairs and a table at the restaurant opposite. One man Gerard told BBC that he was throwing bottles, pint glasses, stools and chairs at the attackers as they ran into the pubs and bars on their stabbing rampage. "I could not do anything. When you look at the CCTV, the police will, they will see me on the CCTV at Borough Market chasing them and throwing bottles at them and glasses. I know it's a silly thing to do but I just tried to save people's lives."